A scarf is a great accessory that can be used to dress up or dress down your favorite outfit. They can be worn during all seasons. They come in light weight, medium and heavy weight fabrics. Prices range from a few dollars to a hundred dollars. If you are looking to add some additional scarves to your wardrobe without breaking the bank, you may want to create your own. Below are some DIY scarves that can be made from old clothes you may have been planning to recycle. 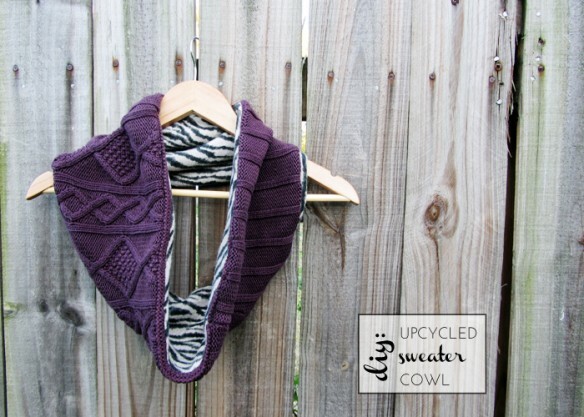 Create this scarf from an old sweater and a T-Shirt. Get directions here. 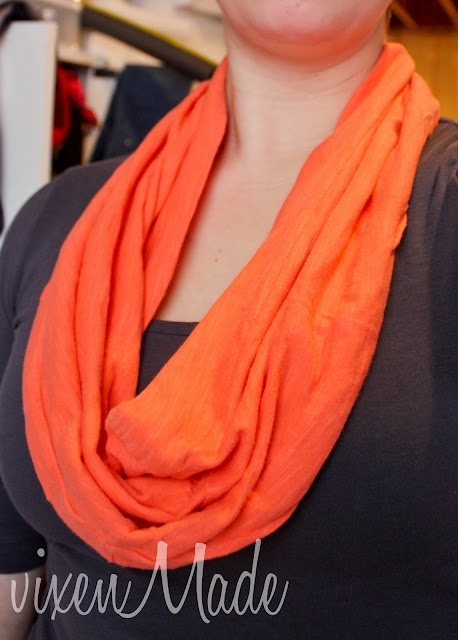 Try This No sew Infinity Scarf from an Old T-Shirt. Get instructions here. 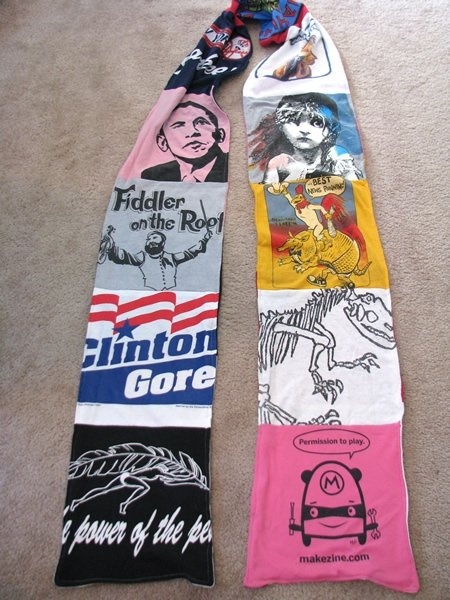 If you have a lot of old T-Shirts that you don’t want to part with, you should try your hand at creating this Memory Scarf. Get Instructions here. 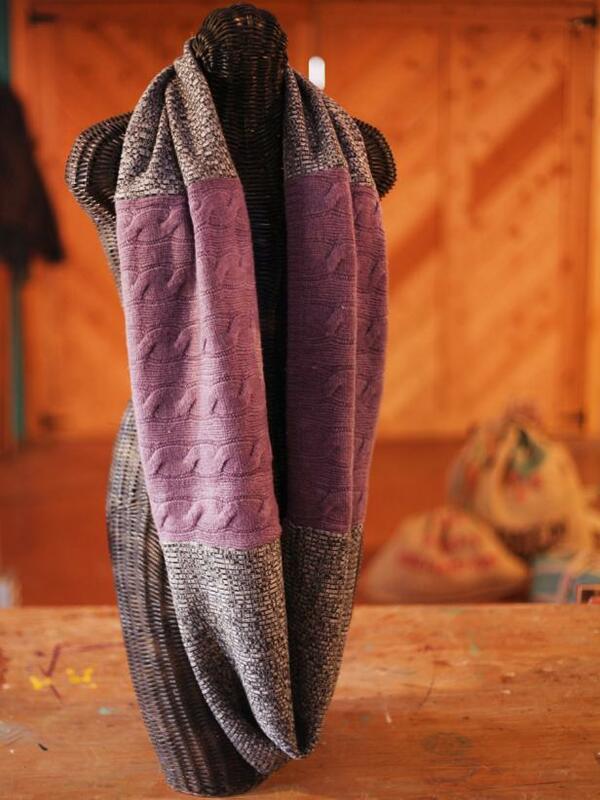 Here is another scarf that was remade from two old acrylic sweaters. Find out how to create it here. 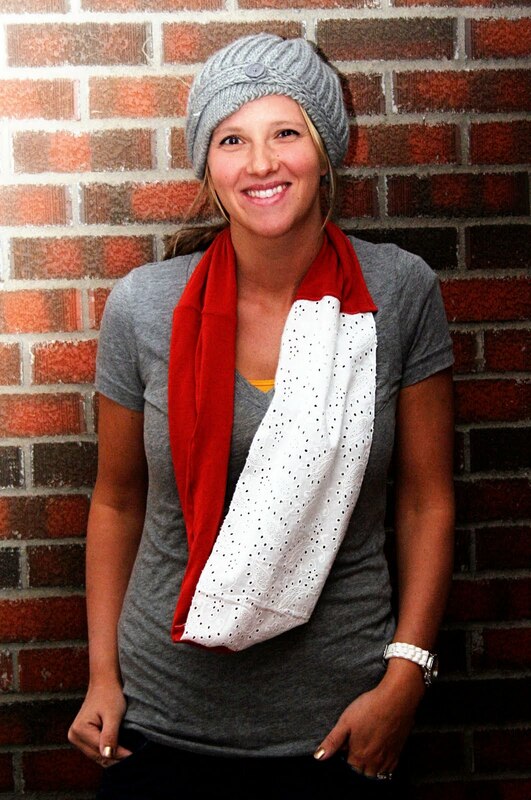 Try this two color Tube T-Shirt scarf made from an old t-shirt and some lace. Get the instructions here. 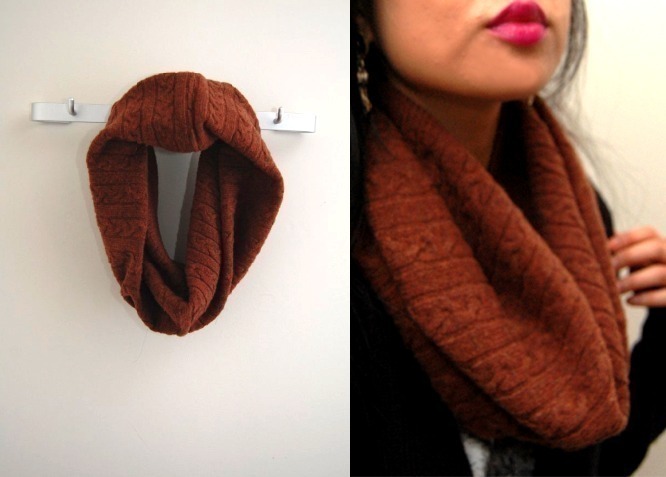 Create this Tube Scarf from an old Men’s Sweater from a thrift store. Click here for instructions. 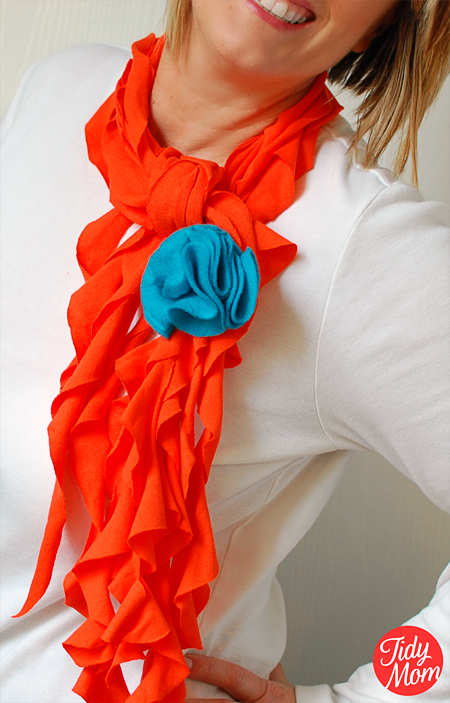 Try this No Sew T-Shirt Scarf form Tidy Mom.